Over the years, I've accumulated quite a salt & pepper shaker collection. Some are antiques; some are brand new. Some I've purchased myself; many others were gifts to me. But all have a certain creativity and kitsch factor that I've found irresistible (even if I've never actually used them for dispensing salt or pepper)! 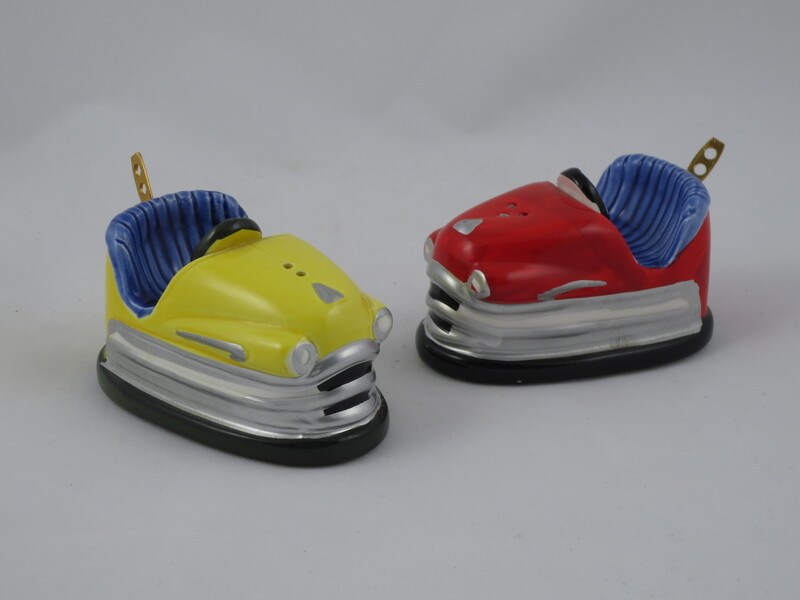 The bumper cars pictured above were my first collectible set, which I received as a gift in the late 1980s. Since then, my collection has grown to more than 300 sets in three display cabinets! Click an image below to view the shakers from the many categories of my collection.